Make music an exciting part of your child’s life! Each week in Music Together® classes, babies, toddlers, preschoolers, and the grown-ups who love them come together for 45 minutes of fun-filled time of music, movement, and play. Haven’t heard of Music Together? Interested to see what a class is like? Come check out a class for free and discover the joy of Music Together with your family! Have a group of families interested in checking out a class? A church group? A bunch of neighbors? Whatever constellation! 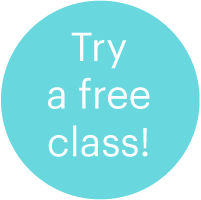 We’ll happily create a demonstration class for your small group! Weekly class meet for 45-minutes of musical fun! Families may make up two classes during the current semester. Classes are mixed-age, so kiddos, newborns to 5-years-old, play and learn together. Siblings are welcome!! Classes are taught by Veronica Andreassen-Barker, who is both a board-certified music therapist and a Registered Music Together teacher. All classes will be held at Odell Weeks Activity Center on Whiskey Road in Aiken. Classes will begin the week of March 4 and end the week of May 20. Classes must have at least 6 families to run, so please invite your friends to join! Nine weeks of 45-minute classes with two scheduled Make-Up classes (11 weeks total). A professionally recorded CD featuring the current Music Together® Song Collection. An access code to download or stream the class music and enjoy the Family Music Zone, where you can find videos, coloring sheets, additional song activities & more! A beautifully illustrated songbook with family activity suggestions so your family can enjoy the music at home & on the go! Parent education to help adults understand and enhance their child’s music development. A quarterly e-newsletter and access to the national informative website. Parent DVD & booklet for new families: “Music Together® At Home: Helping Your Child Grow Musically”; a guide for parents and caregivers. While Spring Semester has already begun, we may have room for your family! Don’t wait to start making music together with your family. Email Veronica to join a class! As much fun as Music Together classes are, there is a business side of the operation. Policies are here so that parents have straight-forward information and can make plans and decisions accordingly. That said, we hope that if questions, concerns, problems, or situations arise, parents will feel comfortable in approaching us to find a mutually beneficial solution. We ask each family to review guidelines for class etiquette and our policies and sign in agreement. Download our Class Expectations & Policies Document.